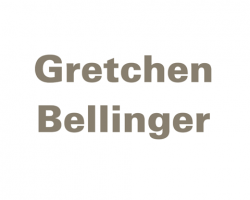 Gretchen Bellinger’s history as textile designer and master colorist has placed her and continues to place her at the forefront of modern interior design. Bellinger began her career at the Chicago offices of Skidmore, Owings & Merrill, working alongside such design luminaries as Walter Netsch, Bruce Graham, and Myron Goldsmith. After subsequent positions with Knoll and V’Soske, the young designer decided to step out on her own and exploit what she perceived to be a major gap in the interior textiles market. In 1976, Bellinger released what is now considered a landmark collection of 13 natural-fiber fabrics. So influential was the collection, with its subdued palette of greyed pastels, that it is today regarded as a key contribution to the “post-modern” movement of the late-70s and early-80s. The meteoric rise of her firm in the 1980s heralded a period of almost unbridled creativity for Bellinger, with no less than six Roscoe™ Awards for design excellence; collaborations with the likes of Giorgio Armani, British Airways, Learjet, and Levis®, among others; and the inclusion of 24 Bellinger™ fabrics in the permanent collections of New York’s Metropolitan Museum of Art and the Art Institute of Chicago. Today, Bellinger continues to push boundaries with an array of non-traditional metals, bamboo, laminated vinyls, and lace appliqués, while her achievements are regularly chronicled in industry publications and in such books as A Century of Interior Design: 1900-2000 by Stanley Abercrombie and Women of Design by Beverly Russell. Drawing upon diverse inspiration including the love of art, travel, and literature Bellinger received acclaim in the 1990s and early 21st century for her “re-envisioning” of classic weaves and motifs. From Asian wood cuts, silkscreens, and tapestries Casting Illusions™, Golden Apples™, It’s Cricket™ to Victorian paisleys and florals In a Swirl™, Florid Romance™ Bellinger continued to attract industry praise, including a “Best Overall Design” award at NeoCon© and two, back-to-back Best of Year (BOY™) Awards from Interior Design.